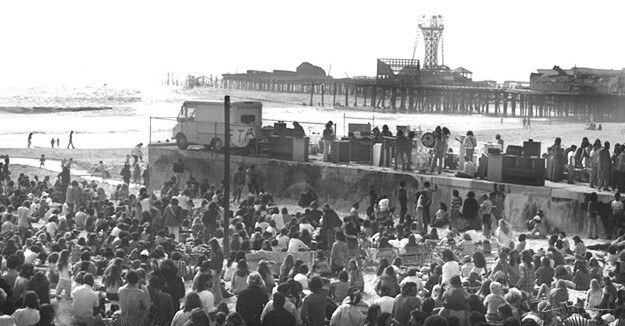 Occasionally "The Doors" played free concerts on the Rose Ave. Pier in Venice Ca. In the background are the remains of P.O.P. "Jim Morrison And The Doors"